Following a request from Alan Potts, and similar suggestions from other Club members, we've been actively seeking local brewers to enhance our guest ale selection. So far we've had ales from Congleton's Beartown, Warrington's Coach House, Stapeley's Woodlands and recently the Barn Buster beer from the very local Mobberley Fine Ales. 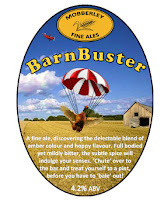 Mobberley Fine Ales sells a range of beers from 3.8% to 4.2% AVB. In addition supplying the 9 gallon firkins and the 4.5 gallon pins, they also sell 500ml bottles. Using only top quality ingredients, and with a focus on quality, these local brewers are creating award winning ales. One of Beartown's beers has been selected for the 2012 Sainsburys Great British Beer Hunt. Over the years the Coach House brewery has won medals for their ales at the SIBA (Society for Independent Beers) North Region Beer Festival Competition. The equally local Tatton Brewery won silver for their 'Obscure' ale and bronze for their 'Ruck and Maul' brew at the 2012 International Beer Challenge - a competition that attracted entries from 26 countries. And if you fancy a day out why not attend the Stapeley Woodlands brewery's 2nd Annual Beer Festival on 7th and 8th September. 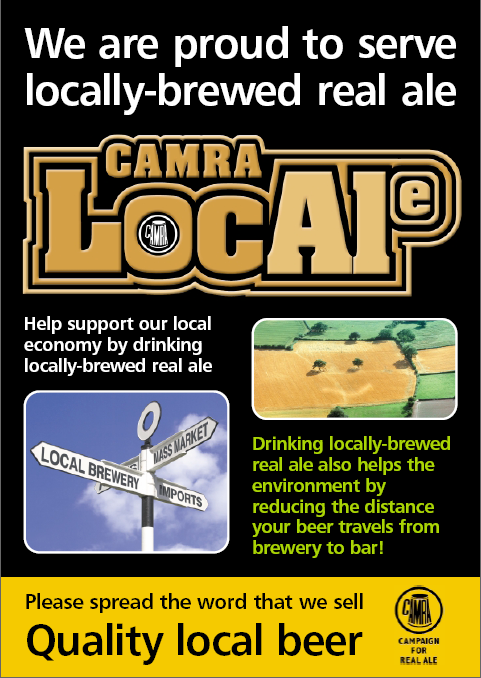 Local ales, created by Cheshire's Independent Craft Brewers, are actively pursued by the Camra LocAle scheme, which was launched in 2007. Do you know any other local brewers? Have you sampled a tasty local beer? We'd welcome any information members may have in this area. So please put an entry in the Club's suggestion book, located next to the bar.